Manny Pacquiao may have established himself as one of the greatest boxers of all time, but the Filipino superstar is not the one to forget his roots. Pacquiao, who once revealed that he had to eat meals without rice during his early days, took a trip down memory lane as he shared a skinny throwback picture of himself on social media. The 39-year-old began his career in 106-pound weight class. He now competes in welterweight division as he’s often weighs in at around 145 pounds. In the process, he went on to become an eight-division world champion – the only pugilist to do so. 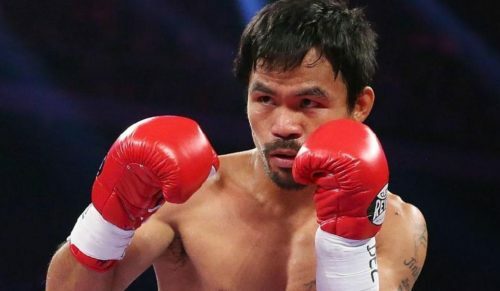 Meanwhile, Pacquiao is currently gearing up for his upcoming clash against Argentine Lucas Martin Matthysse for the WBA World welterweight belt in Kuala Lumpur come July 15.